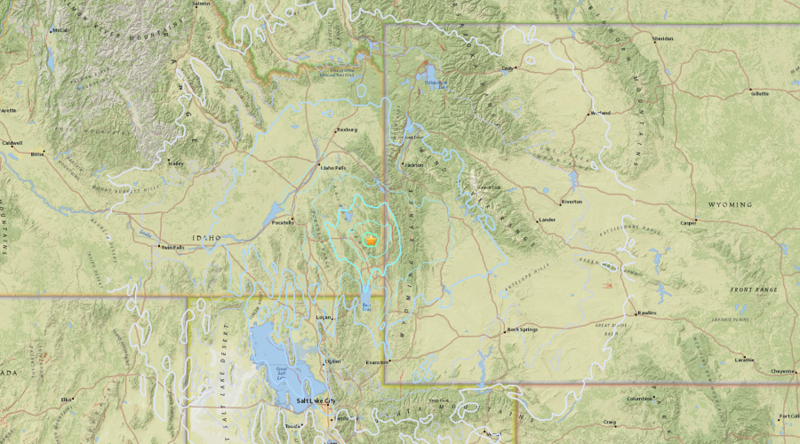 An 5.3 earthquake followed by half a dozen aftershocks have struck Idaho near the state border with Wyoming, some 28 km east of Soda Springs which has a population of roughly 3,000 people, the USGS announced. The earthquake which struck just before 6pm was registered at a preliminary 10 kilometers (6.2 mi ) depth. 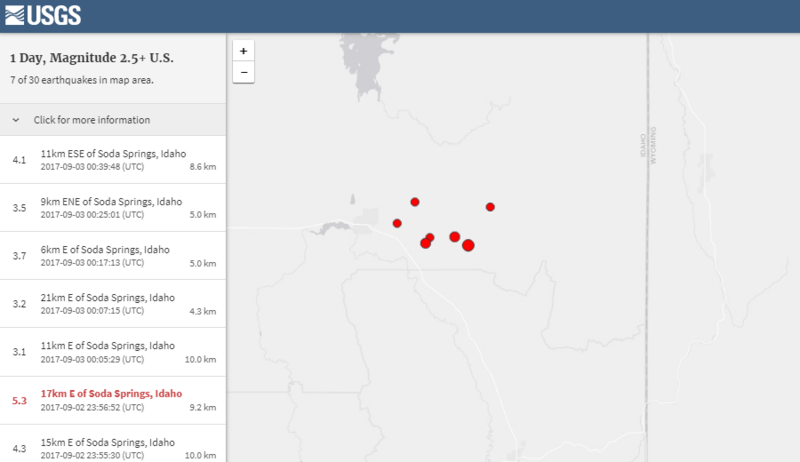 Several aftershocks measuring from 3.1 to 4.1 magnitude have been recorded following the initial quake. It is not yet known if the earthquake caused any damage or injuries, but Fox 13 local news reports that it received several calls and messages from people who felt tremors as far as the state of Utah. RT LastQuake "Map of the testimonies received so far following the #earthquake M5.3 in Southern Idaho 41 min ago pic.twitter.com/Lpyr9gh49N"
Salt Lake City, Utah has a population of roughly 200,000 people and is located 214.5km (133.3 mi) from the epicenter of the quake. While Idaho is rarely associated with earthquakes, due to the state’s close proximity to the supervolcano under Yellowstone National Park, seismic activity is possible in the area. Soda Springs is located some 265 km (165 mi) away from the entrance to Yellowstone National Park. According to the National Park Service, approximately 1,000 to 3,000 earthquakes occur each year in the Yellowstone area but most are not even felt. The seismic activity is caused by a variety of factors, including the rising magma and the movement of hot groundwater beneath Yellowstone.